A disabled amateur photographer who was branded a potential terrorist by security officials has finally received an apology from the Liverpool Arena. 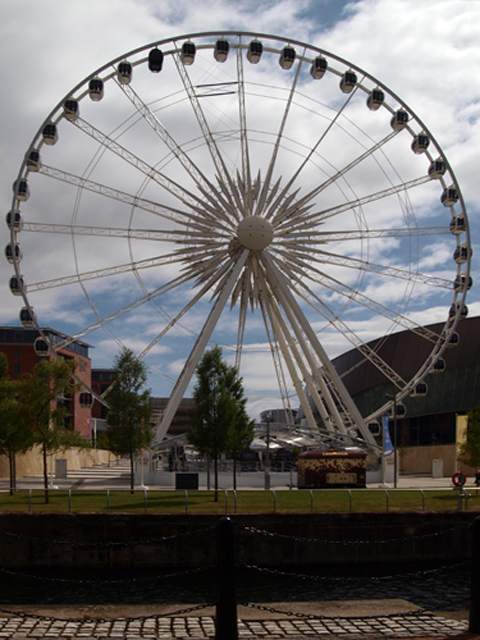 Managers at the entertainment venue were forced to review their policy on amateur photography after security guards threatened to call anti-terror police to deal with Mike Evans who was seen taking pictures on the Liverpool waterfront outside. Mike – who requires a wheelchair and a carer – said guards told him he was not allowed to use DSLRs outside the arena, but that if he used a compact camera or a mobile phone he was free to take pictures. Arena bosses yesterday issued a personal apology to Mike, via a phone call brokered by Amateur Photographer (AP) magazine’s newsdesk. Mike told us today: ?They have given me a sincere apology and told me that they have fully investigated the incident and fully revised the photography protocol. They told me they will remain vigilant for public safety reasons. However, they are now letting photographers take images around the arena.? Mike added: ?I would like to take this chance to thank [Amateur Photographer] and all others involved in this story and thank you to all the people who have listed comments of support on your website.? The story of Mike?s plight was taken up by BBC Radio Merseyside after journalists spotted a news article on AP?s website. It was then covered in several newspapers including The Sun which headlined its article ?Disabled terrorist?.